Kars4Kids: One of the things Educators of America does is give teachers training in classroom technology. But don’t teachers learn these things on the way to getting a teaching degree? What is it you give them that they didn’t get in school? Brett Claydon: Teachers obviously learn the techniques, methods, and approaches on how students learn and how they can effectively measure and evaluate these different methods on the students’ engagement and achievement. When it comes to technology, however, there can be a ceiling. The amalgamation of curriculum, technology, teaching methods, and students can result in that technology capabilities can get overlooked or perhaps the teachers or administrators have hit a creativity wall and cannot navigate around it. Educators of America gives teachers and educators the resources, tools, and even technology that can help improve student-teacher engagement and overall student achievement. We help teachers rediscover their passion for teaching through the integration of technology and assist students in achieving more by incorporating technology into their education. Kars4Kids: How long has Educators of America been in action? How many teachers have taken training courses with you? Brett Claydon: Educators of America is about to reach its third full year in operation. Our training courses have included over 375 teachers who have been able to incorporate their PBL training into lessons that impact thousands of students. Our busiest time of the year is during summer vacation due to most teachers and educators having to teach from late August through late June. Kars4Kids: Your PBL Training courses sound brilliant. Can you tell us about some of the projects that schools have undertaken as a result of this training? Brett Claydon: Absolutely. One project that we are really proud of is the School Garden Project at the Fresno Unified School District. 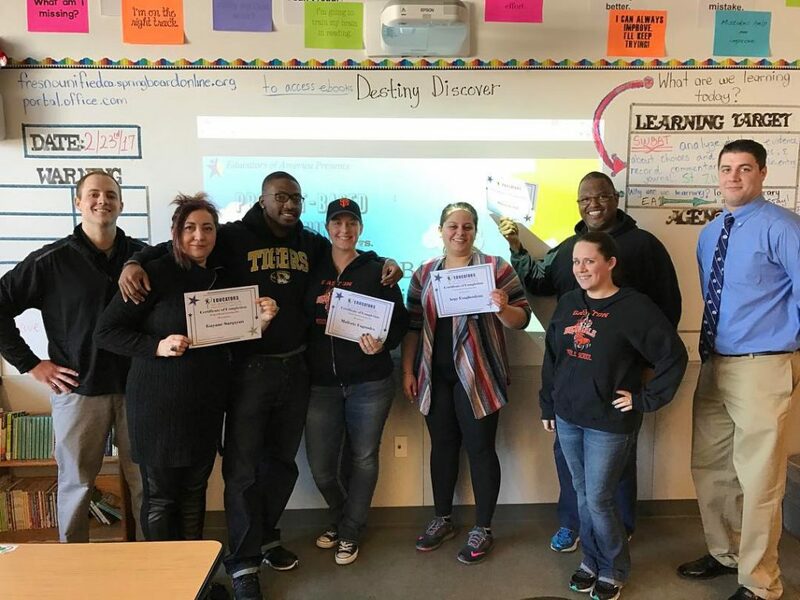 This PBL training course was a long-term consultation that included multiple trainings with teachers, student involvement, and input from teachers and students. In a nutshell, students and teachers were able to come up with a School Garden Project to combat hunger and food security issues within the community. By using PBL and the cross-curricula tactics it employs, students were able to combine subjects such as Math, Science, English, and Geography into one project. The final result was a functional, well-built and researched school garden, which now produces vegetables, fruits, and herbs for the school and Fresno community. Kars4Kids: Your long-term PBL Consulting seems like a serious enough commitment! Is it mostly private schools that sign on with you for long-term consulting? Brett Claydon: The long-term PBL consulting is definitely a serious commitment but it allows for the best growth and development among the teachers and students involved. Our long-term PBL consulting is open for any school! Public, private, charter…we are open and more than willing to with anyone. The long-term PBL consulting projects have actually been mostly with public schools. Kars4Kids: What are the advantages of a long-term PBL consultancy with Educators of America? Brett Claydon: What makes the long-term PBL consultancy so advantageous to both the schools involved and us is the establishment of a relationship. Many trainings that occur within education are short and both the trainers and trainees don’t really get the time to understand each other. If a school goes through a two or three-day workshop, the teachers are not getting the ability to speak one on one or in a small group setting with the trainers to ask questions or even give feedback – usually it’s just a post-workshop survey on a piece of paper. With the long-term consulting, we make establishing and nurturing a relationship our first priority. Once the teachers or trainees feel comfortable with us, then we begin with the consulting and training. Through this approach, we feel it means more to both the trainees and us. Moreover, we get to watch a project develop, witness teachers grow professionally, and students become invested in a project that they created with assistance from their teachers, who are also trainees. Plus, teachers can reach out to one of us directly and ask a question without any worry that it would be awkward contacting someone from a two to three-day workshop who they didn’t really get to know that well. We’re all about human development and how can that be if you don’t have human-to-human interaction. Kars4Kids: It’s amazing that you help outfit teachers with the technology they need. Do they really only need to fill out an application? Is there a waiting list? Brett Claydon: Correct. It’s only an application away. However, when applying we encourage teachers, educators and administrators to include information on how the technology would be used, how is it going to be incorporated into the curriculum, is there an actual need for it, do they need training, what are the monitoring and evaluation indicators if they receive the technology. The more details and developed application we receive, the more confident we feel about fulfilling a micro-grant. Regarding a waiting list, of course we wish we could fulfill every request, but due to financial constraints, we are unable to. Additionally, we get some applications that just say “We need 30 tablets.” And that’s it. So for those ones, we don’t feel too comfortable just giving out 30 tablets to a school not knowing if they’re going to be used effectively. Kars4Kids: Your America Building Hope program is intriguing. In the clip, many of the participants were emotional about the experience. Can you sum up the program for us? Is it teachers building schools in third world countries like Malawi? Brett Claydon: Yes, for sure. The Building Hope Program was inspired by my decision to join the US Peace Corps and commit myself to 27 months of serving others in the country of Namibia. By doing this, the Executive Director of Educators of America, Mike Lynch, decided to develop a program that was dedicated to providing resources, infrastructure and training to a school in Africa. The Building Hope program is more than just getting a group of teachers to build schools in developing countries, it’s supplying resources and the training that host country nationals need for the sustainability of the school. Our scope of Building Hope is long term. We want the school we build or assist in building; the teachers we meet and train; the technology or resources we supply, to be in use five and ten years from now. A primary goal of the program is the sustainability of education. Kars4Kids: The Building Cultural Bridges (BCB) program brings students in third world countries together with American students, by sending technology where it is needed so students can virtually meet face-to-face. Do you foresee an actual meeting between these students? Brett Claydon: That’s what we’re planning on! 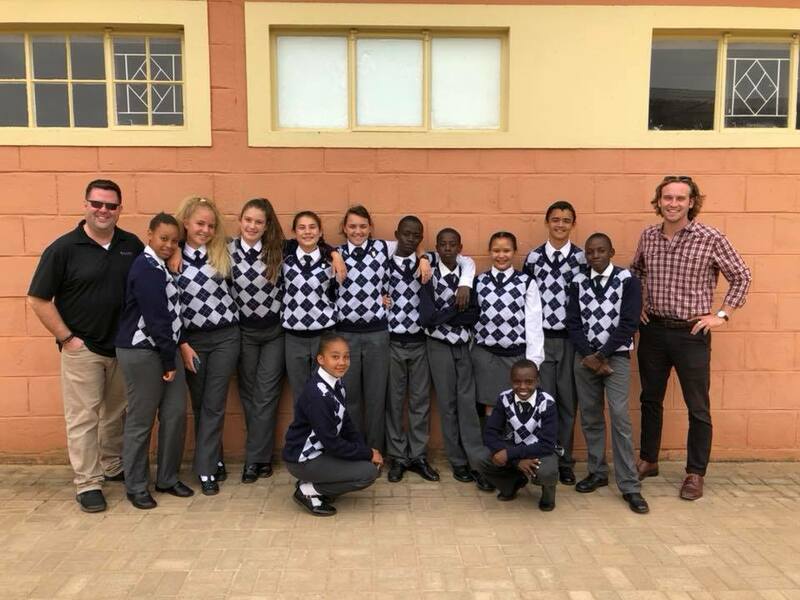 As the program matures and expands out to other schools within the US and Namibia, we hope to receive significant funding that can facilitate an international transfer of students for a week or two that allows the students to physically meet their pen pal and experience their country, culture, and education. It is certainly a long-term goal of the BCB program. Kars4Kids: Can you explain what it is Educators of America is attempting to do by networking with international education technology companies? We are obviously enamored with the hype of new edtech products, but we are always cross-referencing: how can this product be used to its maximum potential? Additionally, we are always looking for sponsorships from education technology companies that can assist us in fulfilling our microgrant program. More sponsorships mean a larger number of applications fulfilled. Kars4Kids: What’s next for Educators of America? Brett Claydon: Our hands are full at the moment. From moving forward on potential partnerships with international education technology companies to our recent successful launch of the BCB program to making progress and configuring the Building Hope campaign, we envision a very busy 2018. I would recommend checking out our upcoming video documenting the launch of the BCB program in Namibia. It will be out within the next month or so and it highlights what the BCB program is striving for along with reactions and feedback from some of the students involved. Looking ahead towards the future, we hope to be developing an international outreach coordination department; expanding the BCB program; submitting grants for our STEM education research; and solidifying our action plan for the Building Hope campaign. Since we’re firing on all cylinders, all of our resources are being used to their fullest. That said, we are always on the lookout for more help and funding to keep our programs running and growing as well.